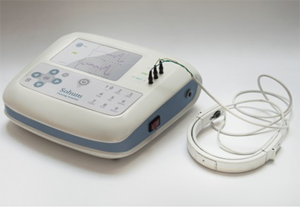 Featured Technology: Sohum: A unique, low cost device that uses brainstem auditory evoked response to detect hearing impairment in newborns. This innovative medical device developed by Department of Biotechnology (DBT)-supported School of International Biodesign (SIB), New Delhi sets a gold standard in auditory testing. Featured facility: IIT Kanpur has developed an autonomous, unmanned, mini helicopter with support from the Department of Science and Technology (DST). 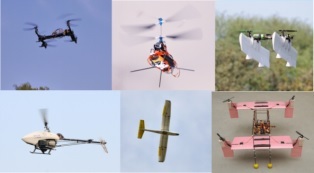 The indigenously developed unmanned aerial vehicle has huge potential for use in agricultural spraying, surveillance, monitoring and aerial survey as well as for medical supplies and various defense applications. India’s collaborations with different countries is putting together expertise and boosting scientific excellence beyond borders. Bilateral cooperation helps find solutions to global issues. Cooperative actions by states promote good will, strengthen political relationships, help foster democracy and civil society, and advance the frontiers of knowledge for the benefit of common mankind. Collaborative agreements have significant indirect benefits like encouraging sustainable developmental goals and promoting science education for youth. 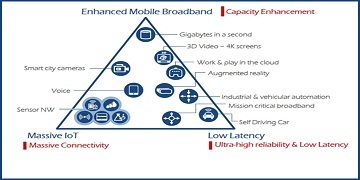 In order to leverage the collective cooperative action by states to address common challenges collaboratively, India fosters numerous regional and multilateral engagements and partnerships in the fields of Science and Technology. These engagements are done through cooperation frameworks at inter-governmental level with a view to make positive contributions for gainful consequences and spin offs. Multilateral cooperation boosts India's image abroad and creates favourable conditions for strengthening cooperation with other countries and international networks. The government of India has taken several initiatives towards the international exposure of scientists working in India in addition to providing incentives to bring back eminent scientists to the country through implementation of several International Fellowship Programs. These efforts have helped develop a pool of talents who are helping in the furtherance of excellence in science in the country. Welcome to the pool of scholars honoured with these International Fellowships and their details. The aim of the seminar and its two pre-conference workshops is to keep the audience abreast of recent advances in clinical pharmocology. International Conference on Advances in Robotics (AIR) is a series of biennial conference organized by The Robotics Society (previously known as Robotics Society of India). The main objective of the conference is to bring together the researchers from the academia, research laboratories, and stakeholders from the industry. For dissemination and use of biotechnological process and tools ..
A large number of women including SHGs have been benefitted directly ..
TIDE,a unique initiative of Department of Science & Technology (DST) provides..
Department of Biotechnology (DBT), Govt. of India, has various projects..
Department of Biotechnology (DBT) set up the North Eastern Region..
Department of Science and Technology (DST) has been taken several new..
Year-wise Progress of Expenditure of Central Scientific Departments..
Good Clinical Laboratory Practices Guidelines for stem cell..
Special Programmes North-East region Jackfruit and Commercialization & Processing and Eco-friendly agriculture..